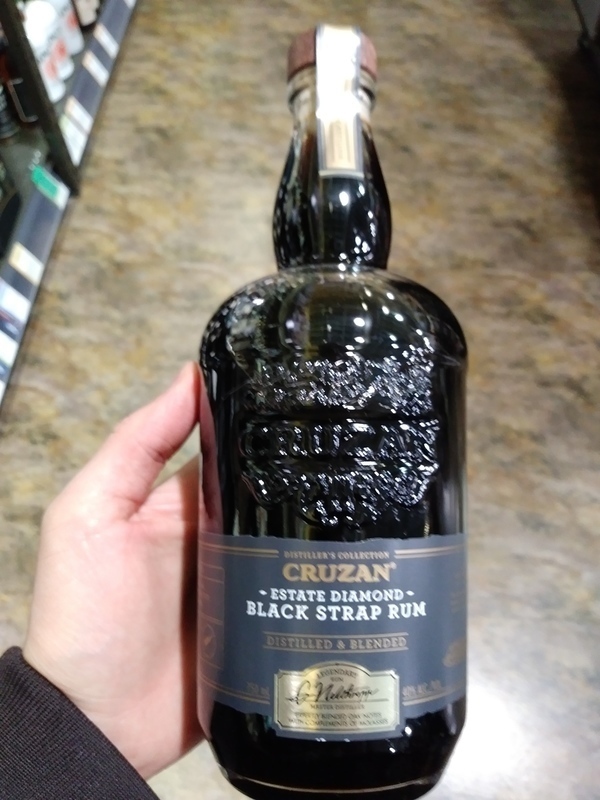 Not really a fan of the Cruzan brand but was curious about the Black Strap Rum. Don't laugh but when I smelled the rum after opening it I was reminded of good pancake syrup. That was a promising sign. Tasting it was interesting. Hits the tongue rather hard but fades nicely with a lingering sweetness that reminded me of a good pancake syrup. Definitely a molasses flavor but not overpowering. I could see this being sipped straight but best used in a cola where the sweetness is accentuated. No objectionable aftertaste. But does leave some odd flavors on the tongue. Now I need to try it with some ginger beers for a Dark & Stormy. I tried it in Coke Zero and was not pleased with how it turned out. This might be good in various rum punches and mai tai's. I believe it would be best suited in baking. UPDATE: I wrote my initial review/opinion almost 2 years ago. I recently picked up another bottle for a second chance and discovered improvements in this rum as opposed to the older version. I still have the older bottle for comparison and there is a distinct improvement in aroma, appearance and flavor. The aroma in the newer bottle is quite good and no longer reminds of me of pancake syrup. Swirling it around my snifter reveals excellent legs. It is the darkest rum I have sampled. A dark chocolate hue. The flavor reveals the distinctive blackstrap molasses flavor and has a nice finish. Maybe I had a bad batch bottle initially or perhaps they improved their formula. Either way it's worth a 3-point increase in my rating. Definitely a good mixer but also a nice after-dinner dessert sipper.